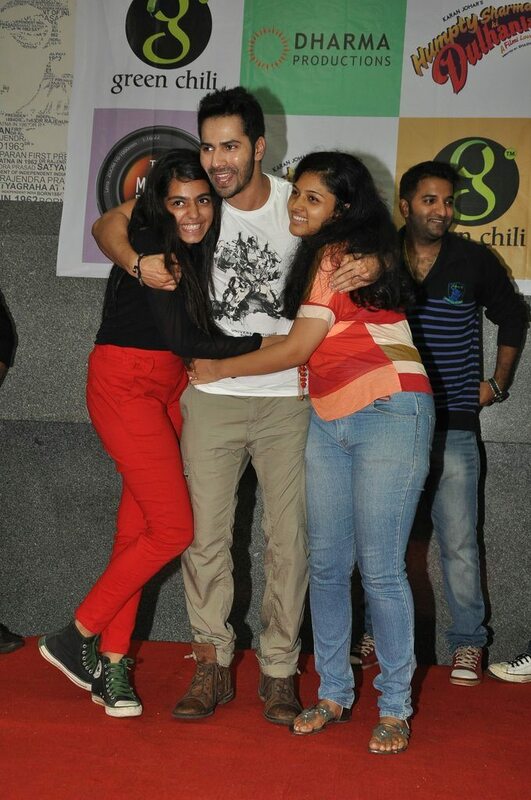 Varun Dhawan pleases his teenage fans at suburban college. 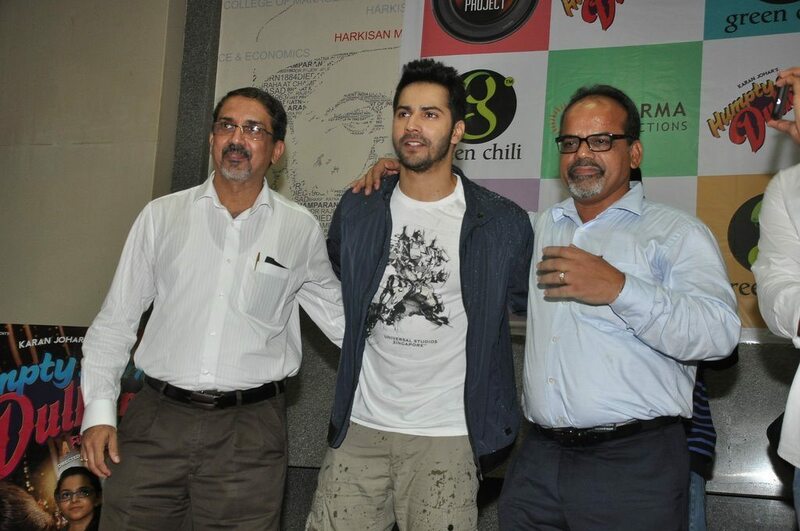 Dressed in beige cargo pants and a cool tee, Varun was super sporting when it came to interacting with the students at the college. 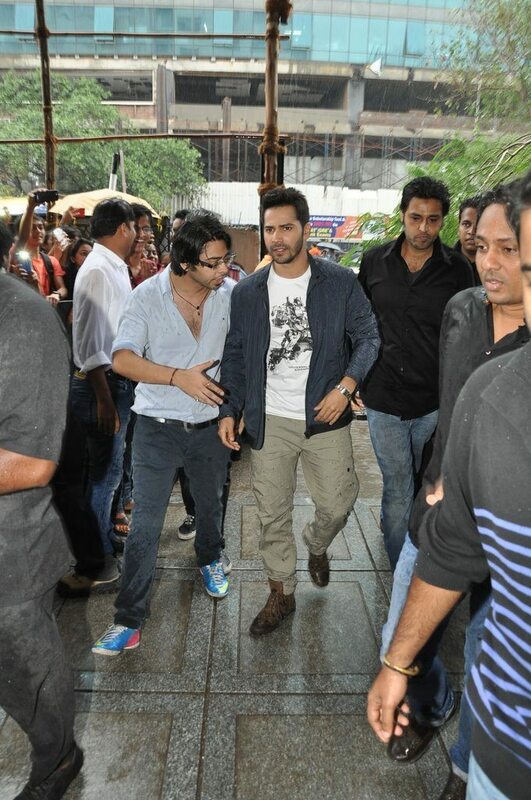 Needless to say, the college campus was bursting at its seems with hundreds of students braving the pouring rain only to catch a glimpse of the young star. 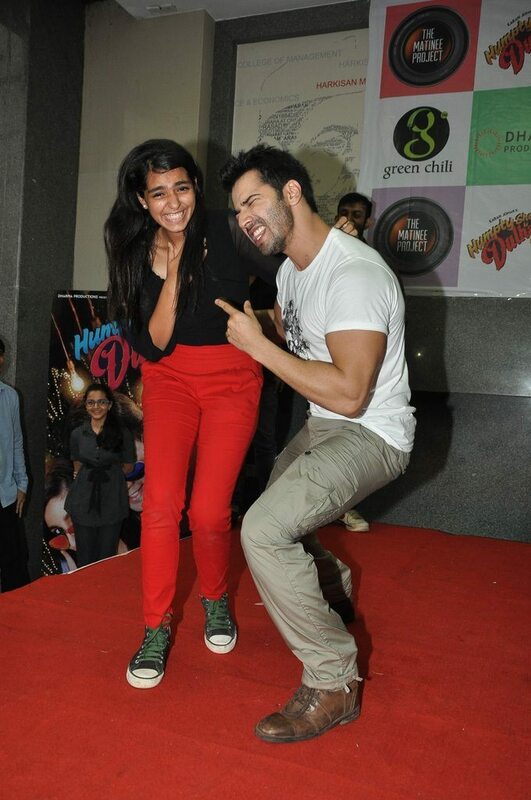 Varun too didn’t disappoint and was a complete crowd pleaser at the event, he danced with his fans and even sportingly lifted two rather excited young female fans! 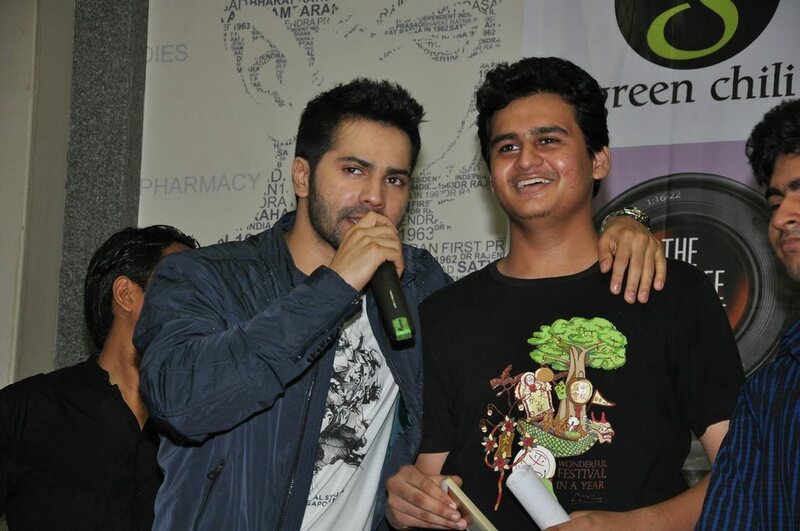 The actor also distributed HSKD music CDs and a few t-shirts. 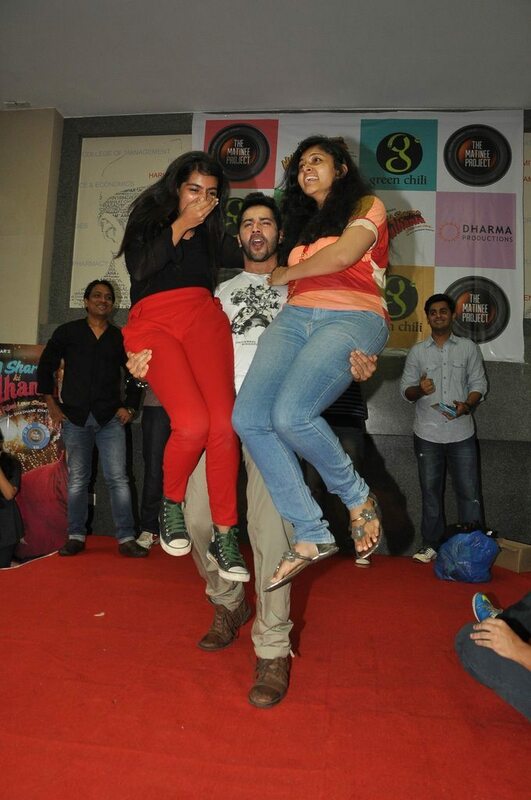 This is not the first time HSKD has had a promotional event at a college campus, Varun and Alia Bhatt were seen at Mumbai city’s topnotch – HR.College – last week. 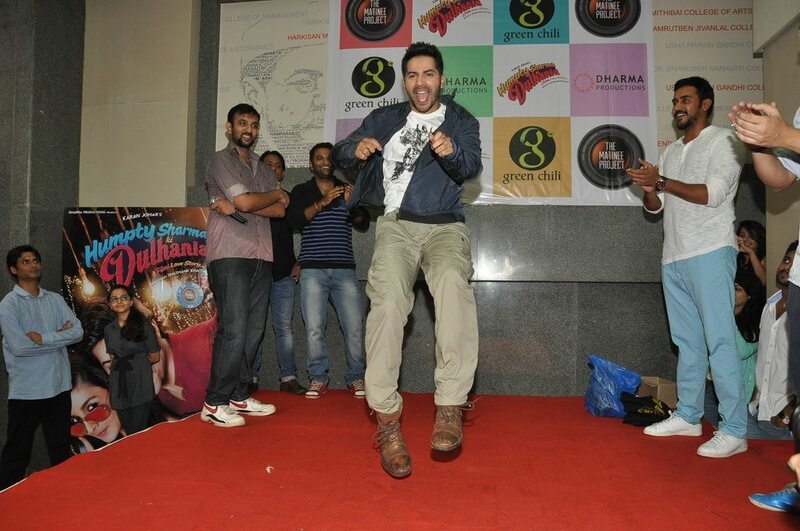 Humpty Sharma Ki Dulhaniya is all set to hit theaters on July 11, 2014.